The Rolls Royce Dawn which is the most technologically advanced car ever manufactured by Rolls Royce is a dream come true for most Americans even if it is just for a night. This magnificent car with all the looks, power, style and charisma can be perfect for any occasion be it a party, a new year’s bash, Christmas celebration or a prom night. It is the dream event for many among us to pull up a Rolls Royce outside a chic nightclub, restaurant, casino or any other happening location. Regardless of the occasion you want to celebrate, you can be sure to add a lot of glamour and color to it by hiring a Rolls Royce from us for a night at the best price. 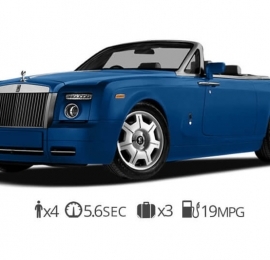 Rent Rolls Royce Dawn and gear up to turn a few heads while you descend from one of the most coveted cars on the planet. The best Rolls Royce model ever created the Rolls Royce Dawn is the ultimate word in class, luxury, exclusivity and comfort. If you are looking forward to travel or visit a place with style then look no further and rent it and get ready to be stared at. The experience of setting your foot into the cabin of the wraith cannot be defined in words. The beauty and magnificence of the smooth grain leather interiors coupled with the even smoother open grain wood used for the Canadel paneling and the thick comfortable carpets to set your foot on is sure to make you forget everything else while embarking on a joy ride with your friends and family. 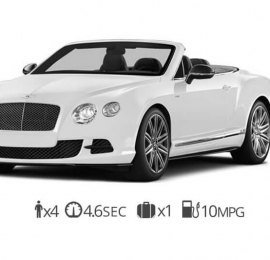 Its V12 engine along with its 8 speed automatic zf transmissions and satellite aided system is sure to make you reach a completely unexplored side of the pleasures of driving. 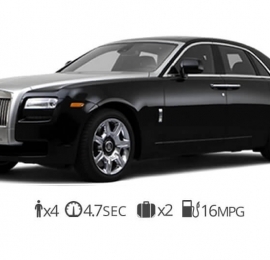 We are one of the best Rolls Royce Rental agencies which has been dealing with exotic car rentals and helping you to indulge in the luxury of the coolest car models at the best market rate. 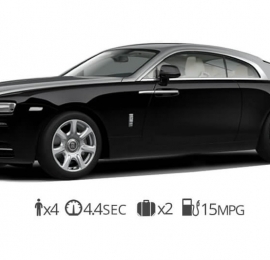 Diamond Exotic Rentals is one of the best names when it comes to luxury car rentals and a Rolls Royce Dawn from us is sure to give you the most exquisite driving pleasures even if just for an evening. Showing up for any glamorous event in the city with a chic and classy car will surely get you all the attention you deserve and even make you the talk of the event. This is a car which has pushed the boundaries of class, engineering, designing and luxury and it has all the style, charisma and drama required to make the crowd stand still to stare and appreciate. As expected the cabin of this car is just another name for splendor and luxury and the top grade engineering ensures that there is absolutely no noise while you are driving. So if you are planning for a vacation with your friends or family then just hire it before you hit the road and get ready for the smoothest adventure in a lifetime.